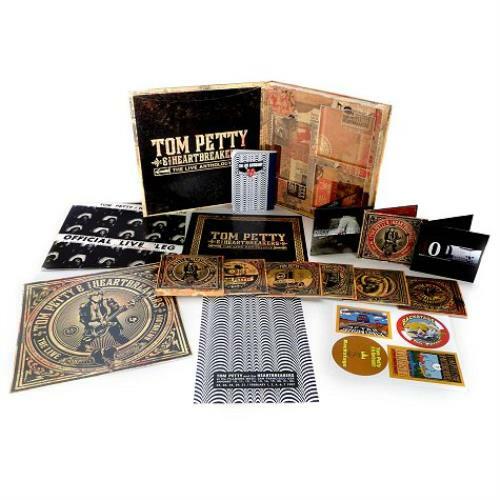 TOM PETTY The Live Anthology (2009 UK 'Limited Deluxe Collectors Edition' Multi-Format Box consisting of 5 CDs, 2 DVD, 1 Blu-Ray and 1 vinyl LP - Comprising 4CDs of recordings drawn from thirty years of incredible live performances from around the world, representing the best tracks as chosen by producers Tom Petty, Mike Campbell & Ryan Ulyate, along with a Bonus 5th CD of 14 exclusive additional live tracks; 2 DVDs consisting ofthe previously unreleased New Years Eve 1978 Santa Monica, CA concert and the '400 Days' documentary film made during the 1995 Wildflowers Tour; a Blu-Ray Disc containing all 62 tracks in both stereo and surround sound; a vinyl LP of the remastered 1976 Official Live 'Leg bootleg album. 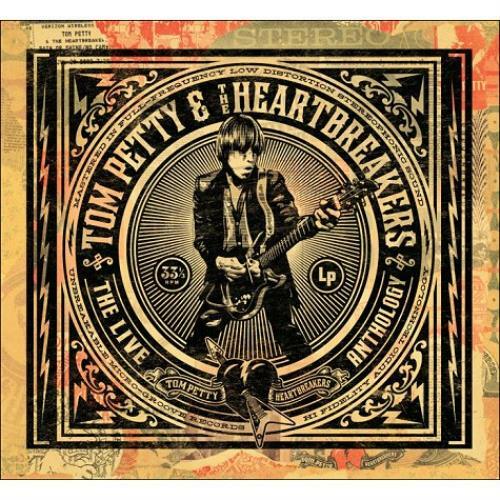 Presented in a sealed deluxe 13" x 13" x 5�" picture box packaging [designed by famous artist Shepard Fairey who became widely known for his Barack Obama 'HOPE' poster in the 2008 U.S. Presidential election] complete with a deluxe book with liner notes offering personal perspective by Tom Petty, Warren Zanes, Bill Flanagan, Robert Hilburn, Joel Selvin, Austin Scaggs, and Phil Sutcliffe; a 12" x 12" Lithograph reproduction of Shepard Fairey Cover Art; a 8" x 12" Reproduction of 1997 twenty night Fillmore stand concert poster; the 'Live Anthology' notebook; and assorted authentic vintage backstage satin passes! ).